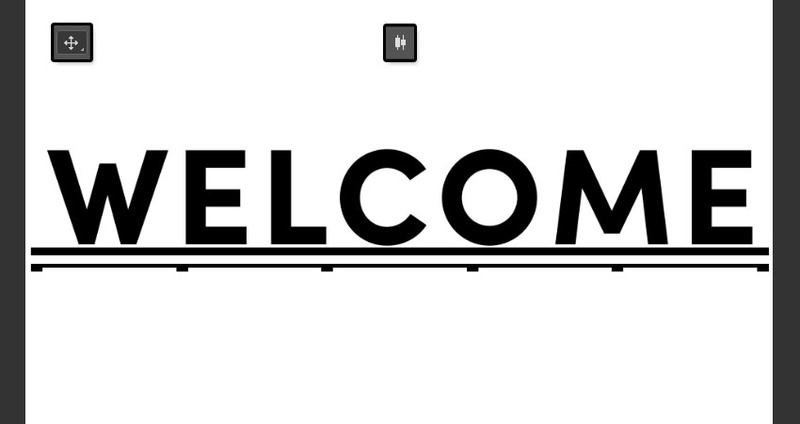 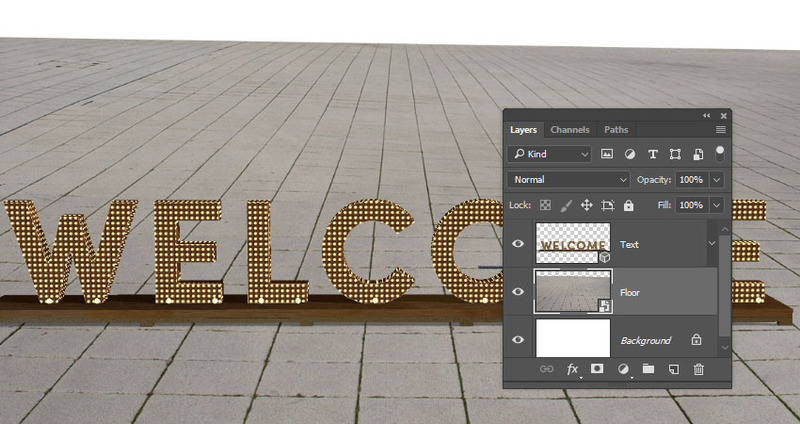 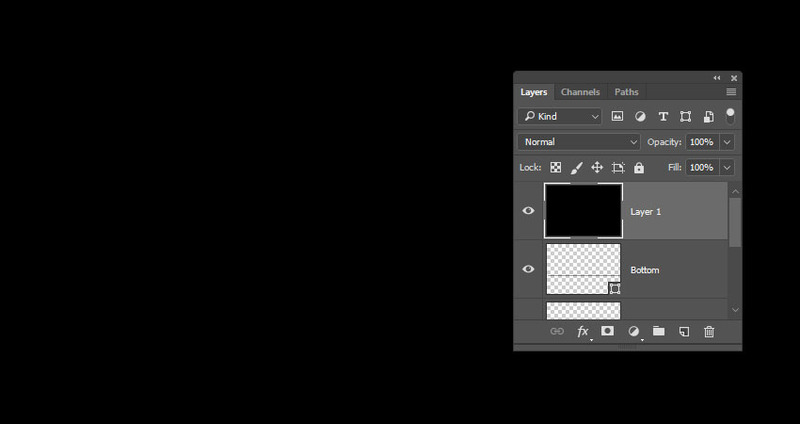 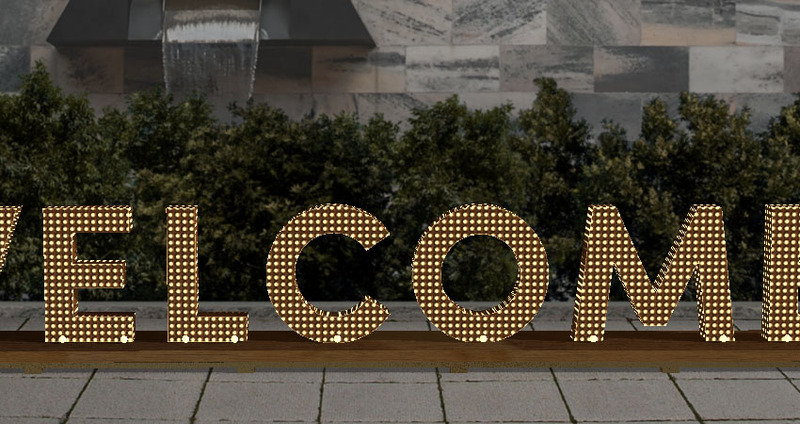 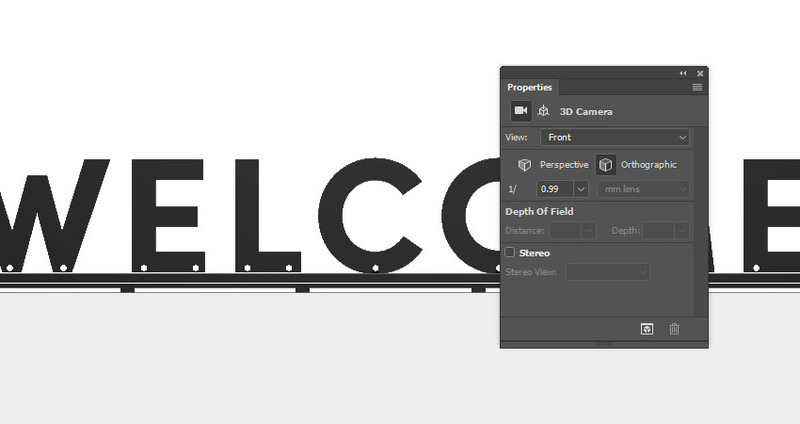 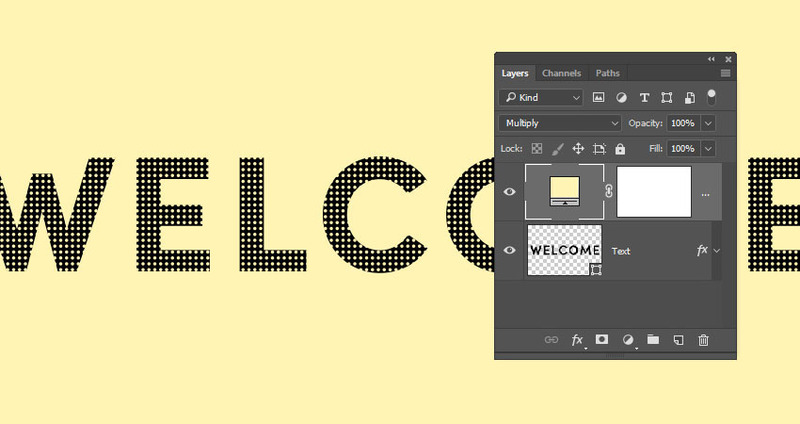 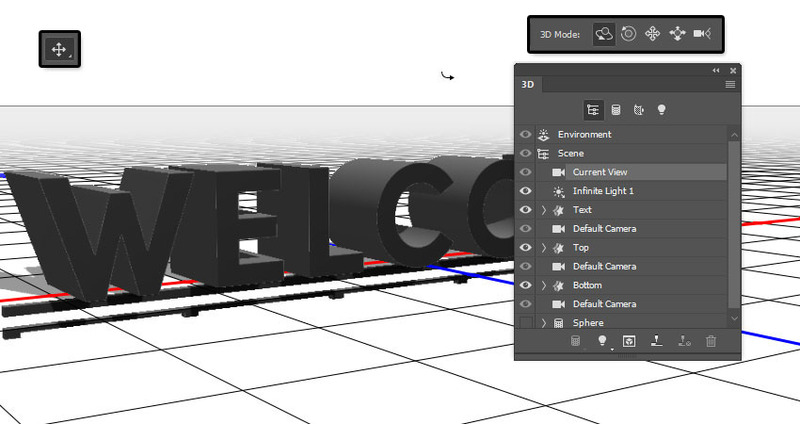 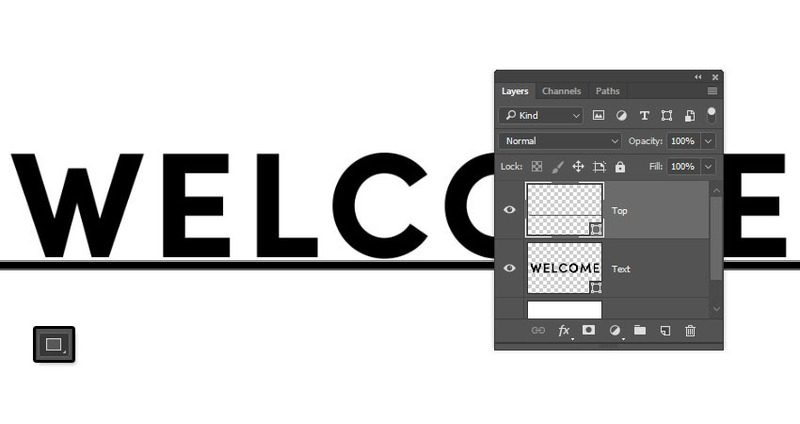 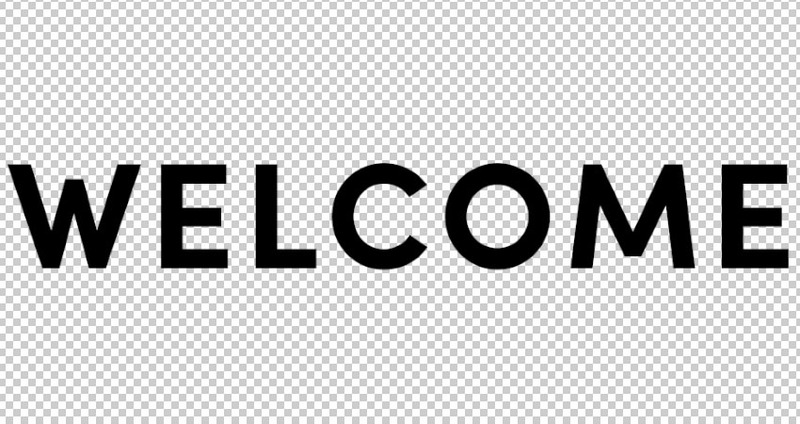 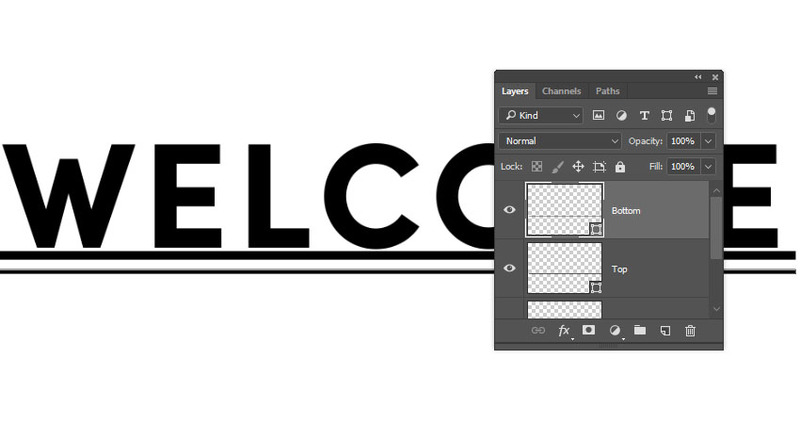 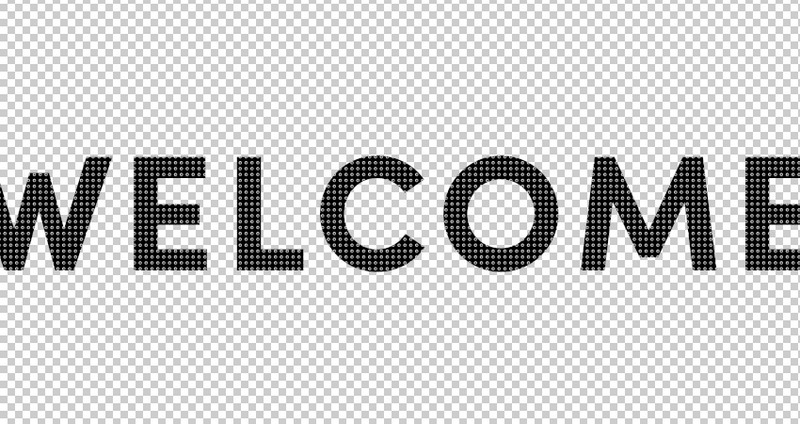 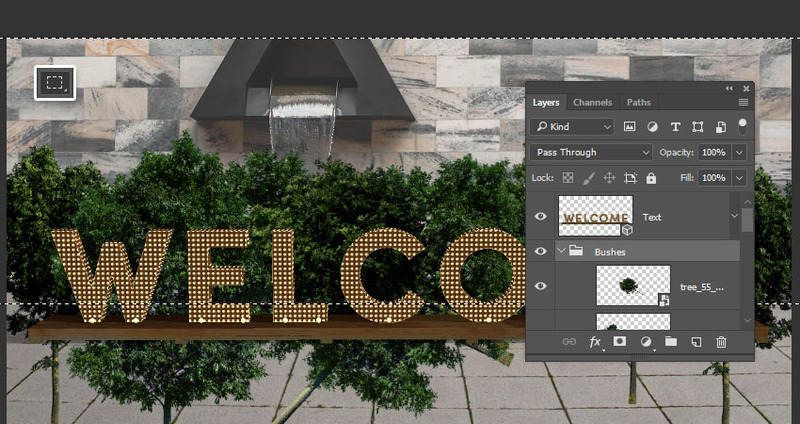 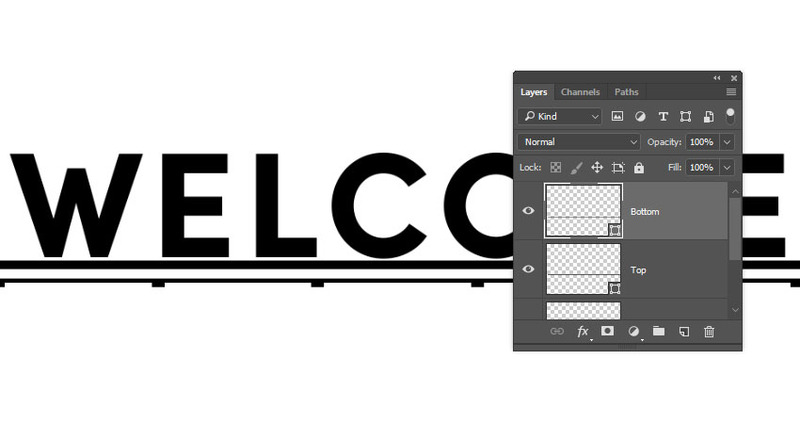 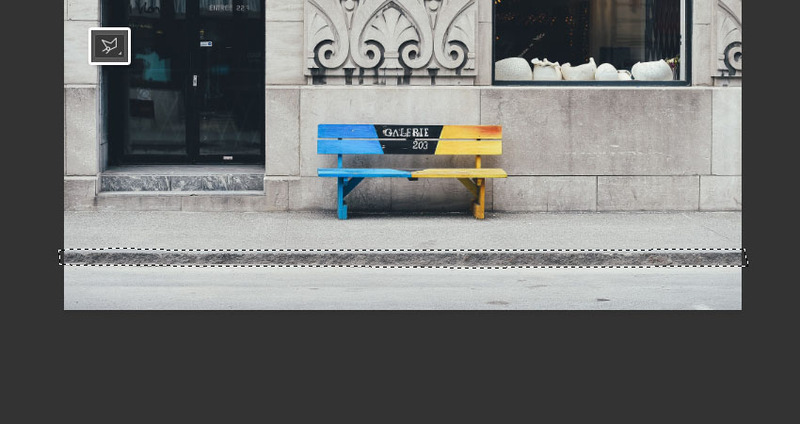 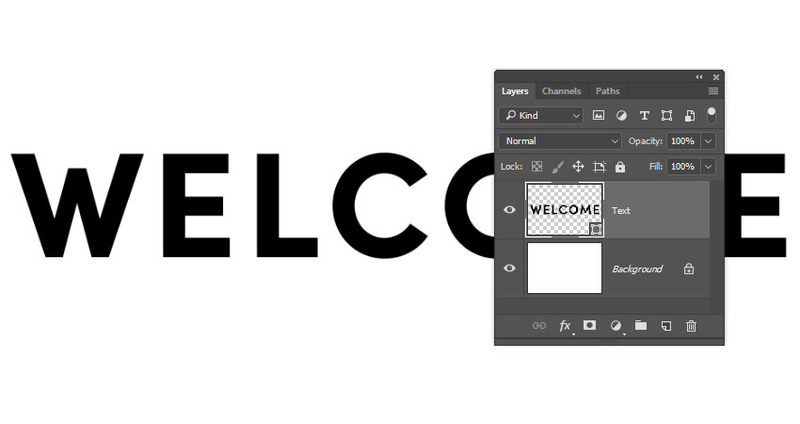 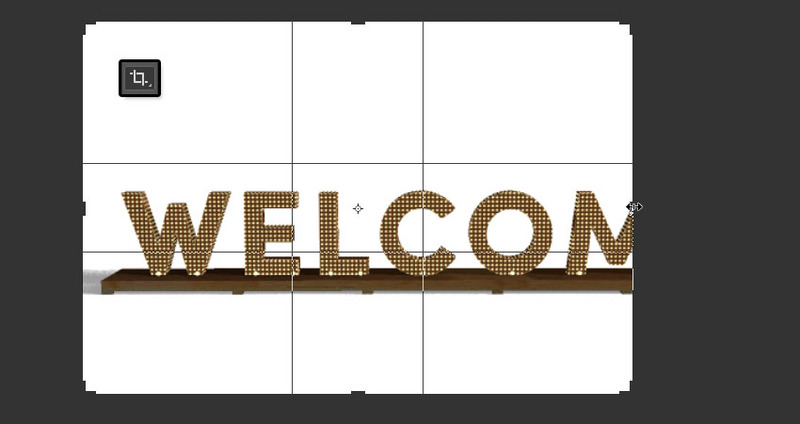 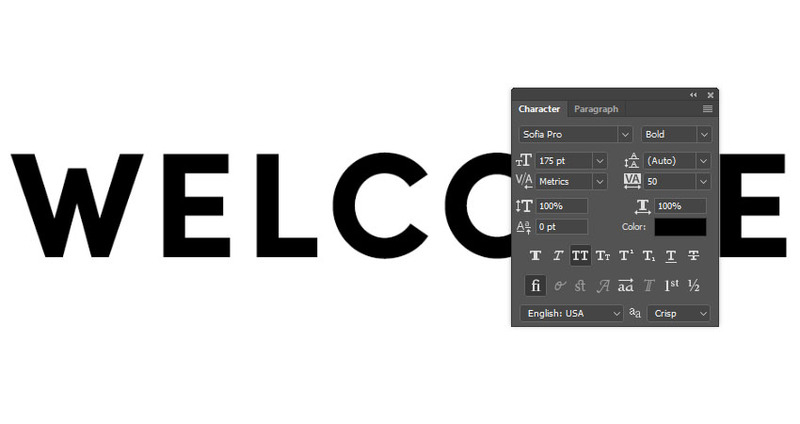 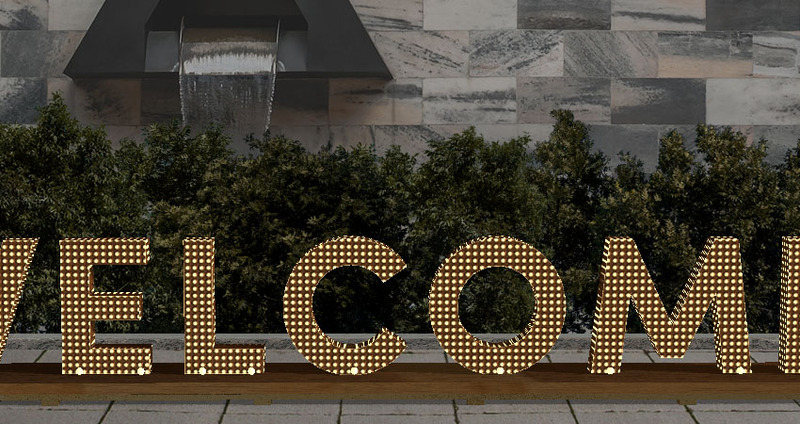 Use the Rectangle Tool to create a 10 pxhigh rectangle below the text, and rename its layer to Top. 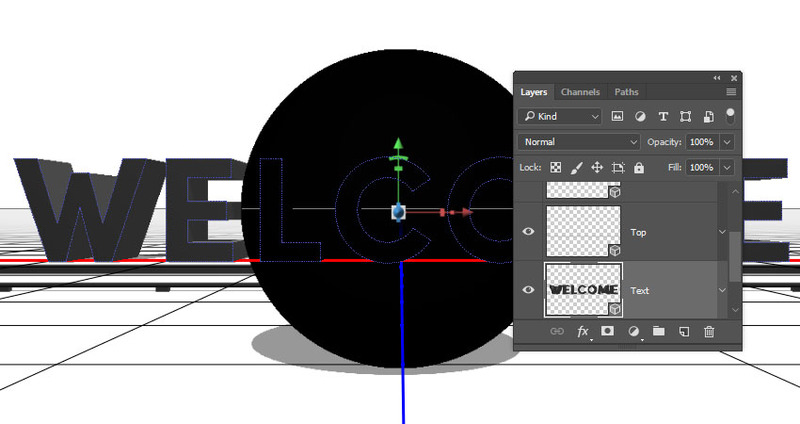 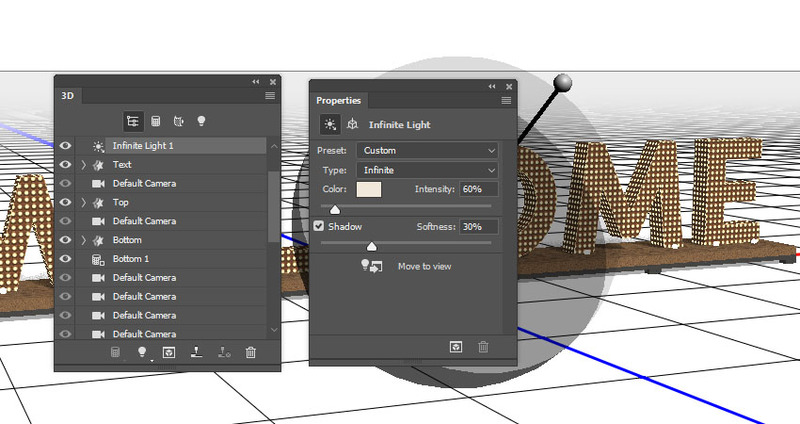 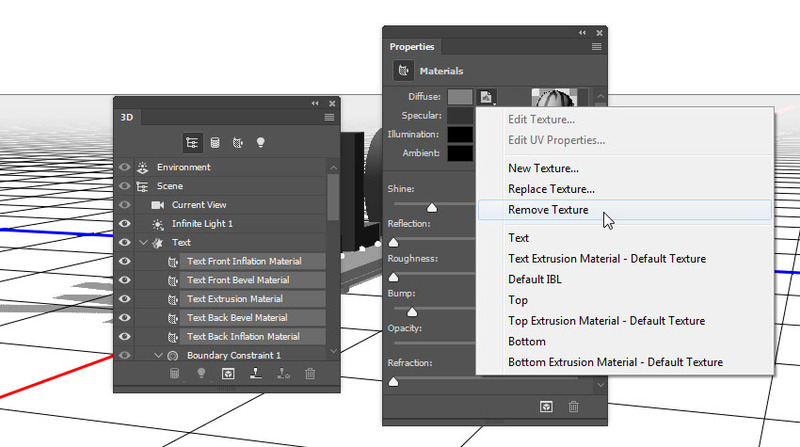 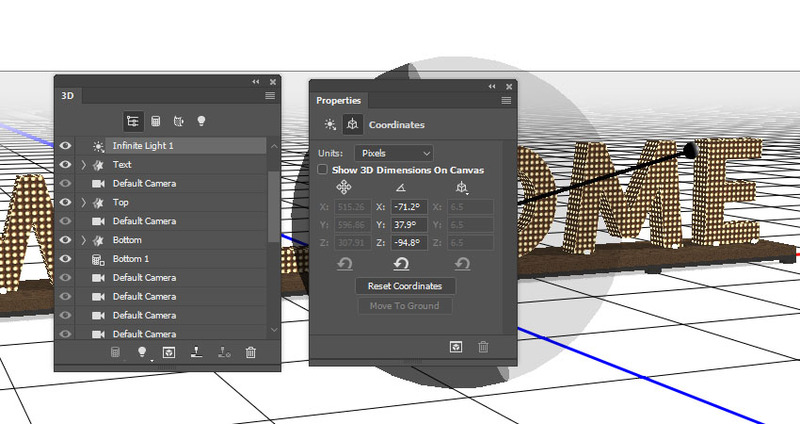 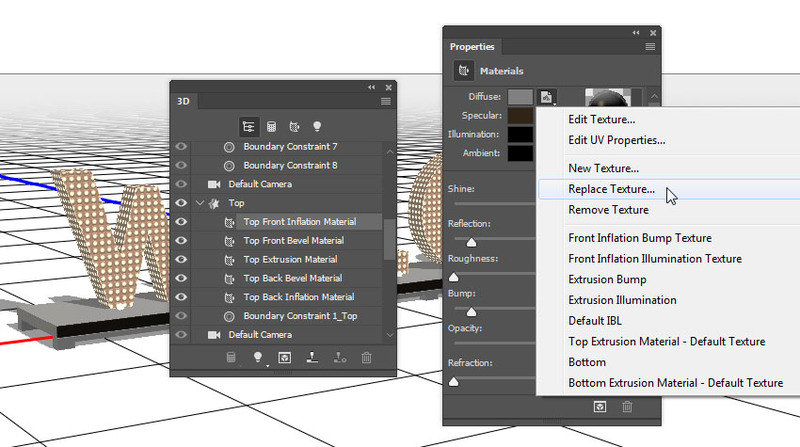 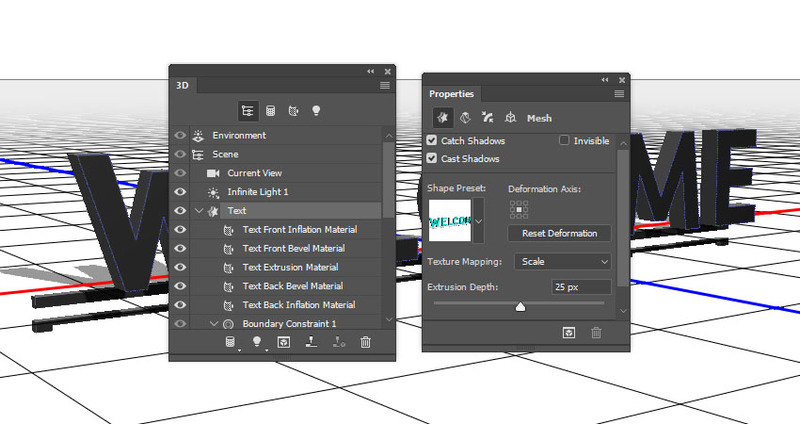 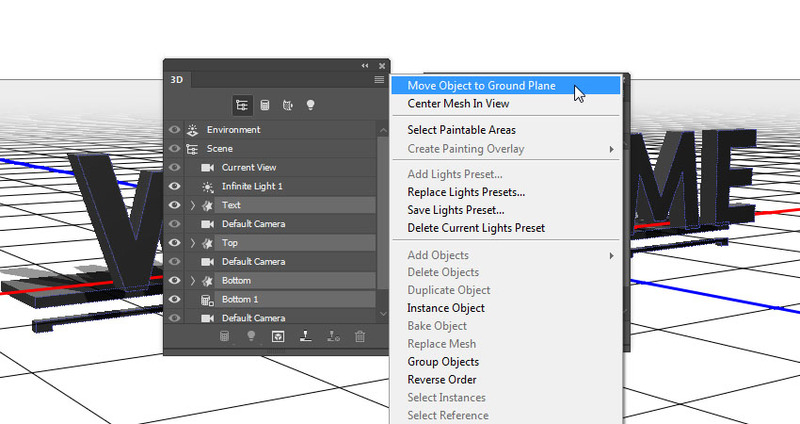 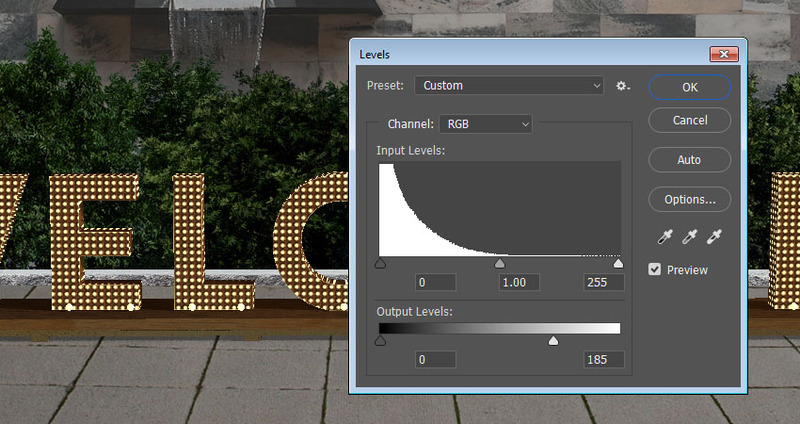 Use those modes to change the Current Viewto an angle you like. 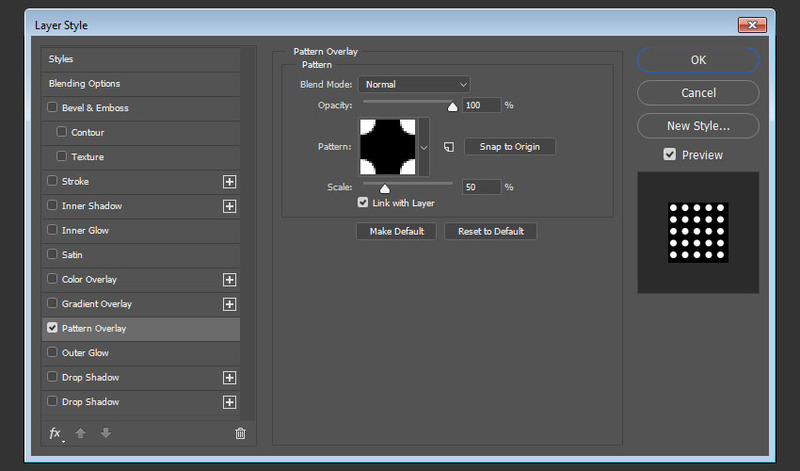 Double-click the shapelayer again, select the Pattern Overlay tab, and change the Pattern to the Bump Pattern. 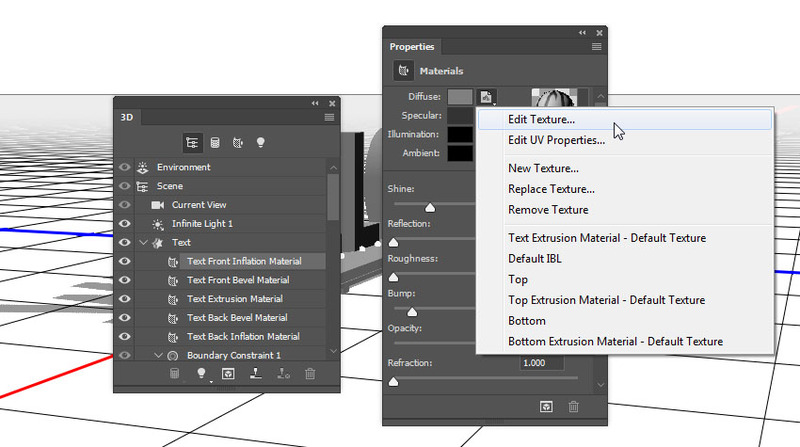 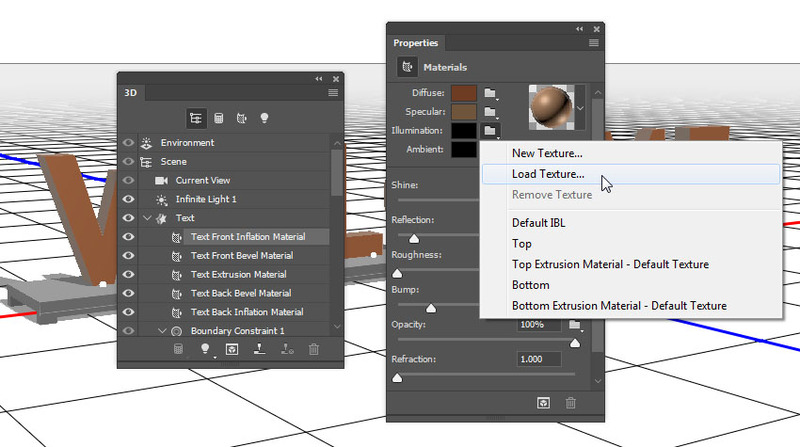 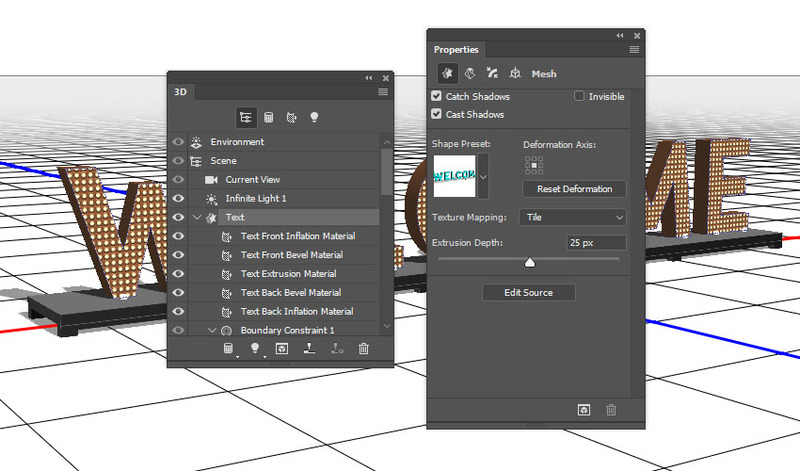 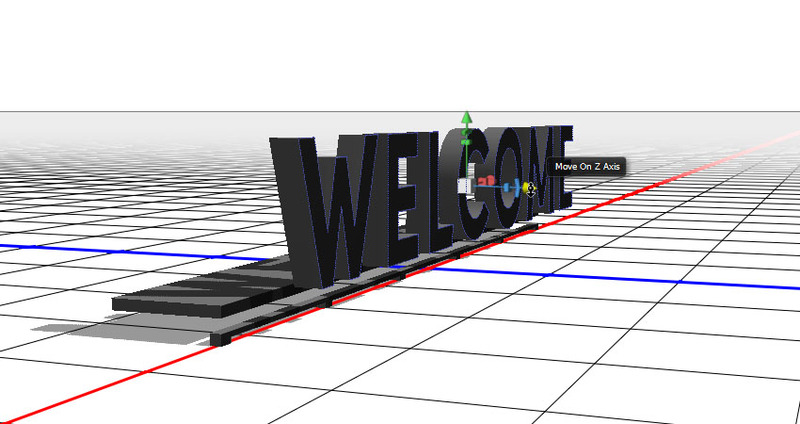 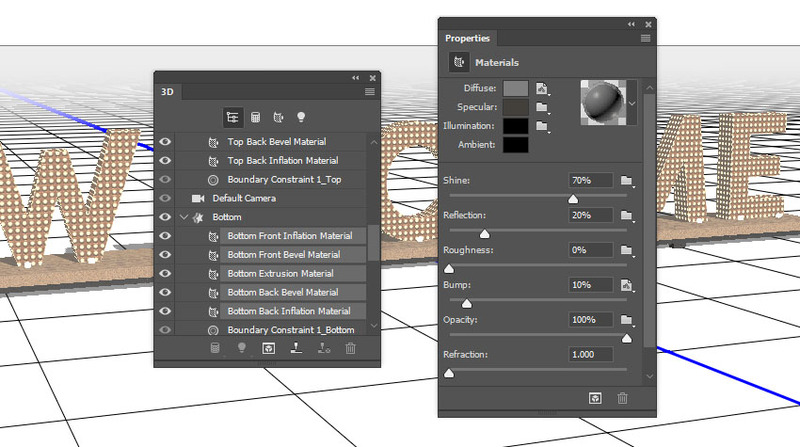 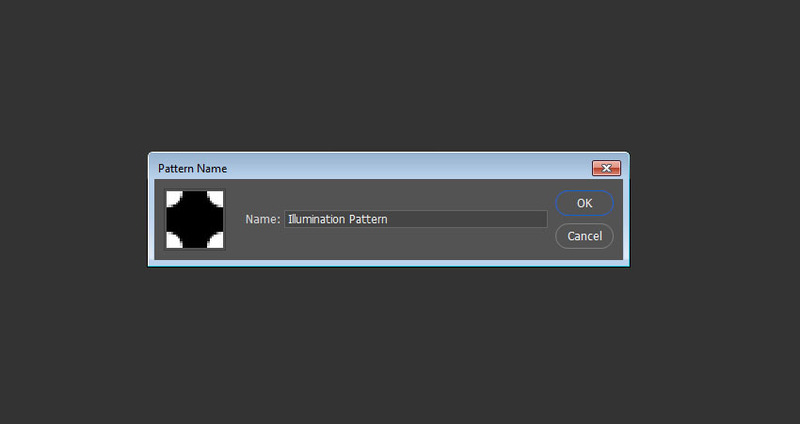 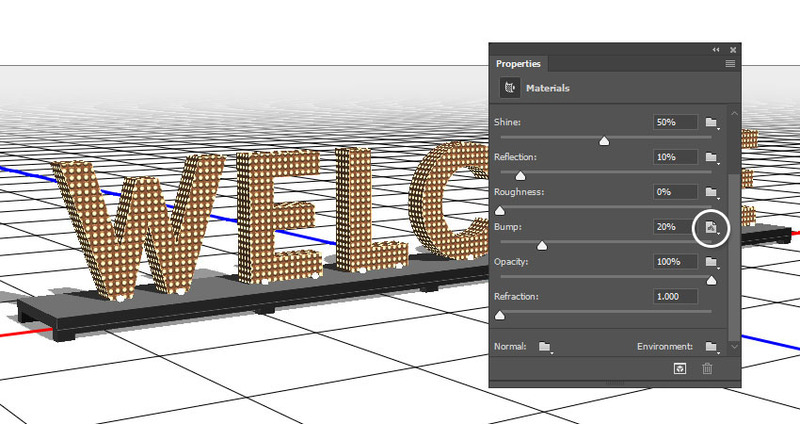 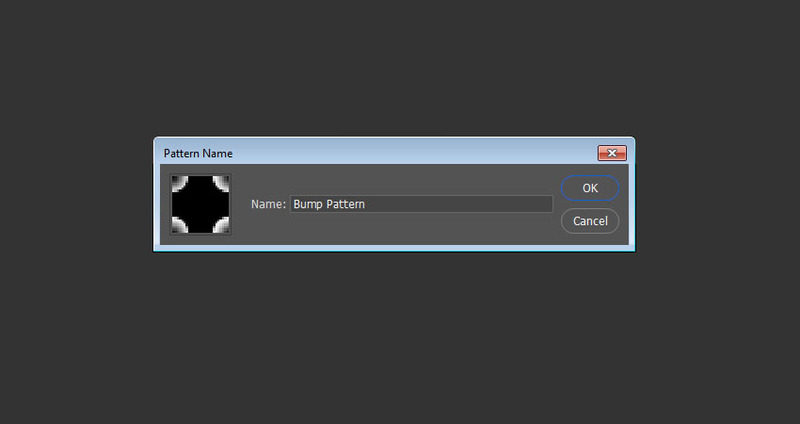 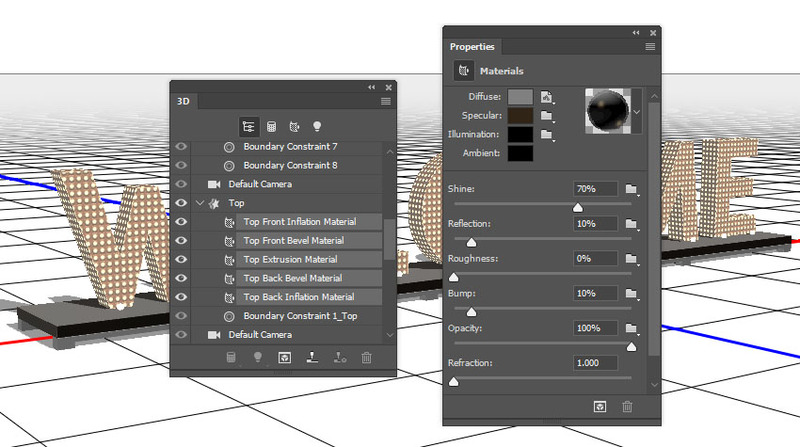 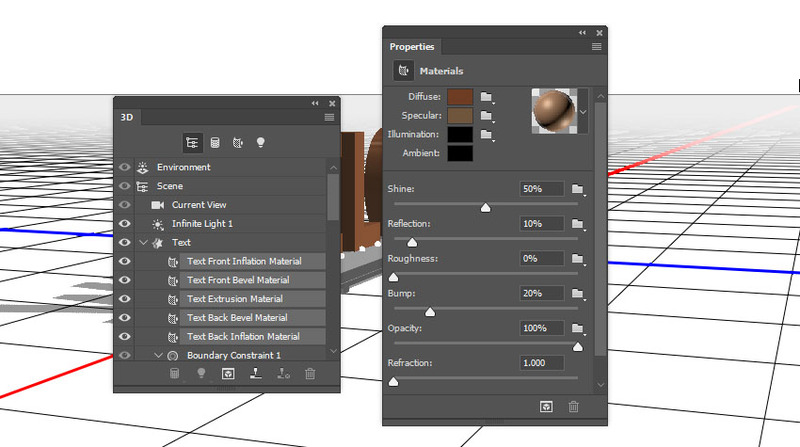 Click the Bump folder icon, choose Load Texture, and open the Bump Texture. 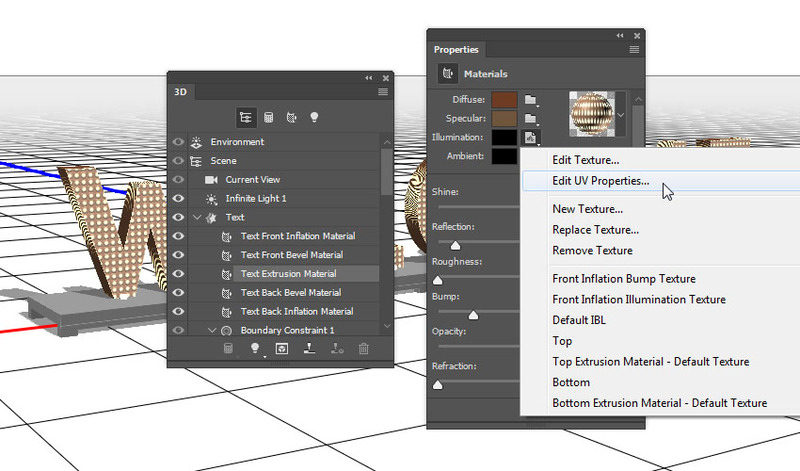 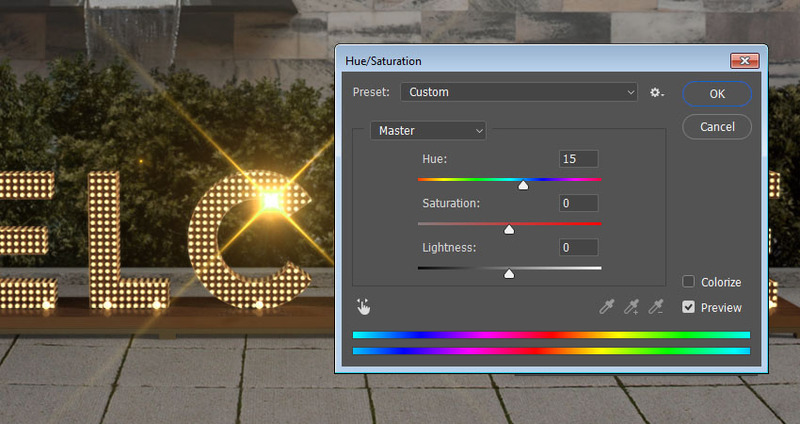 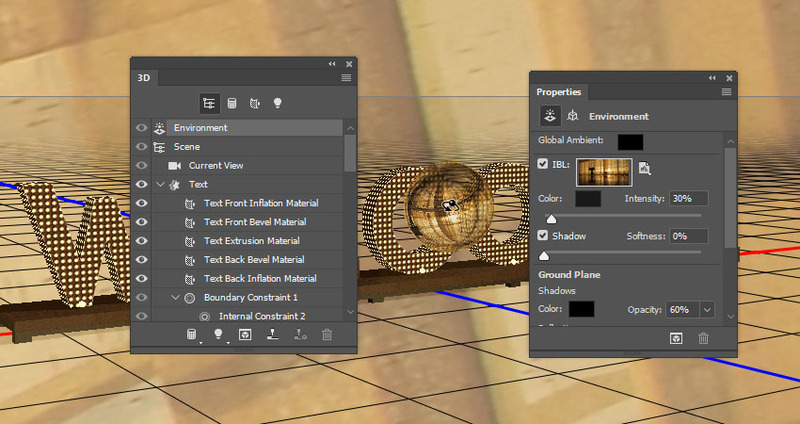 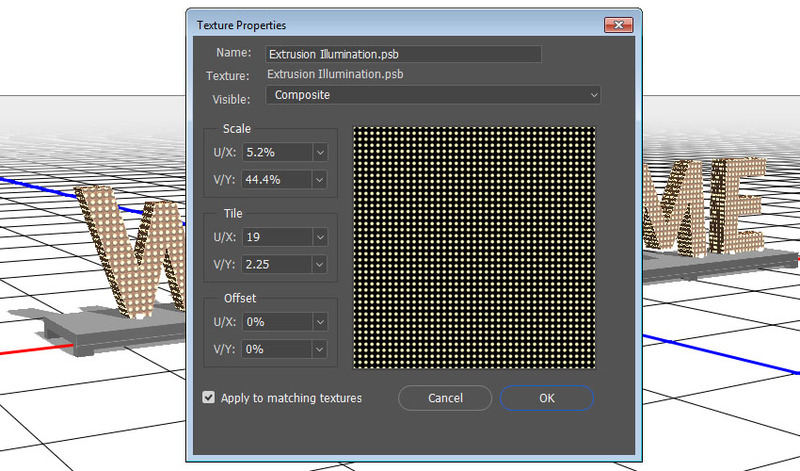 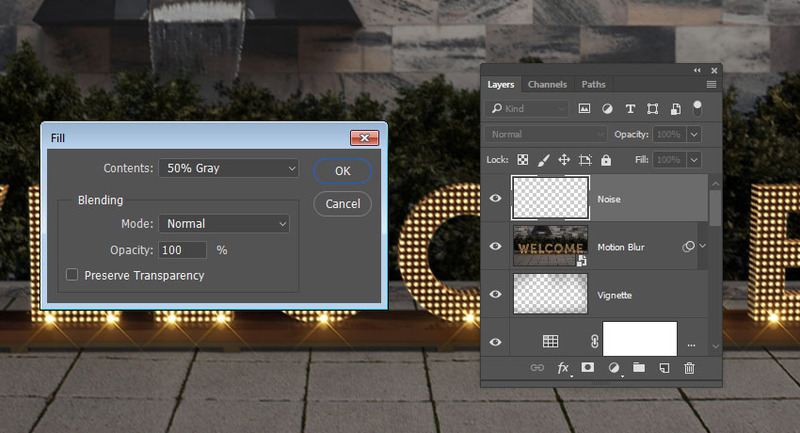 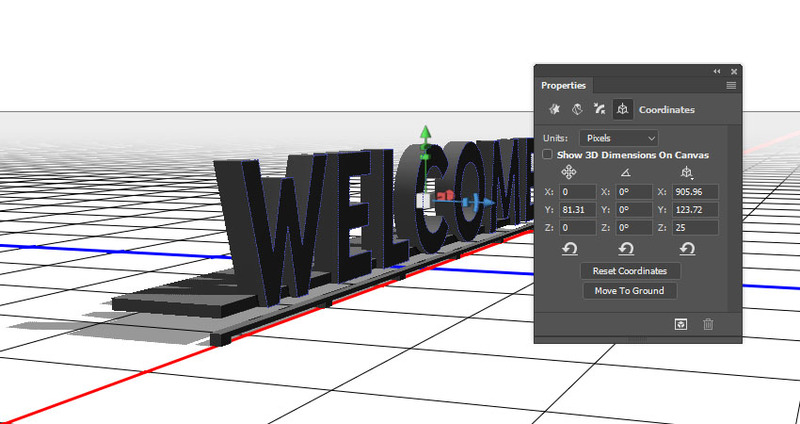 Then, edit the Bump’s UV Properties so that they match the Illumination’s. 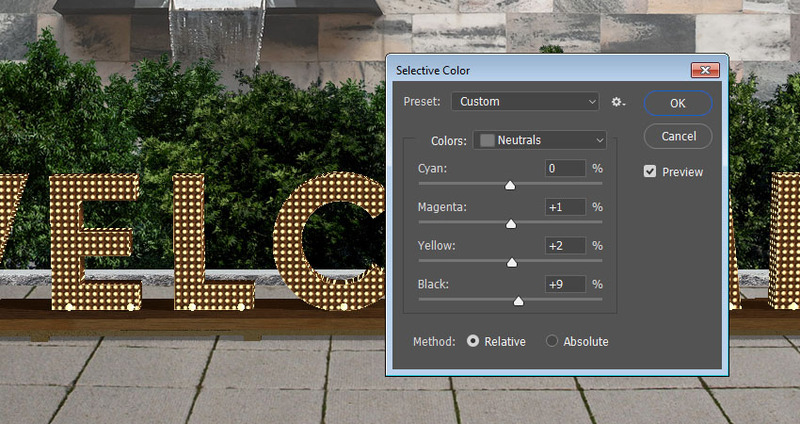 Make sure that the Bushes group is selected, and use the Rectangular Marquee Tool to select the part of the treesyou want to show. 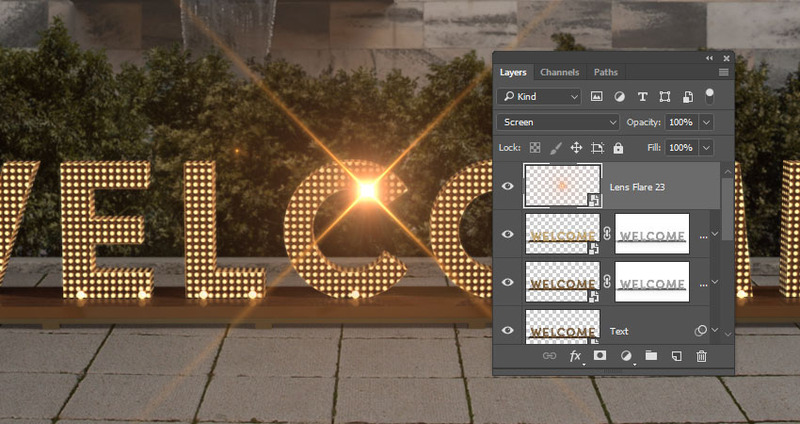 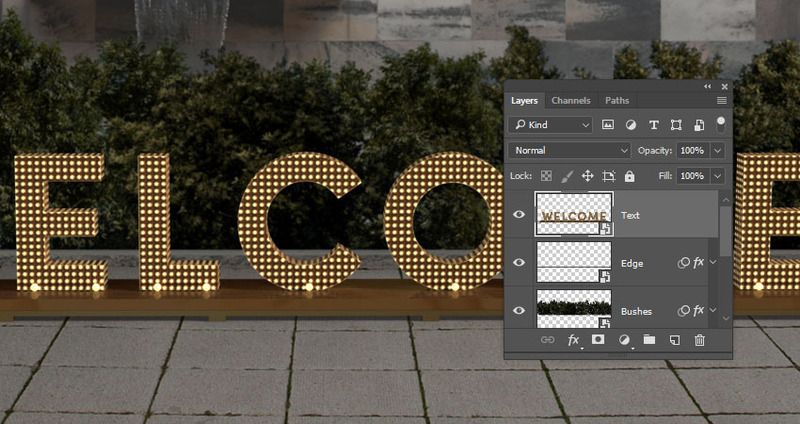 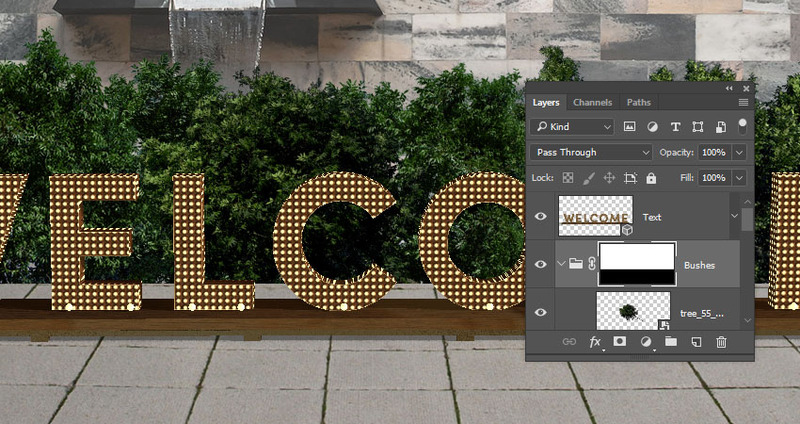 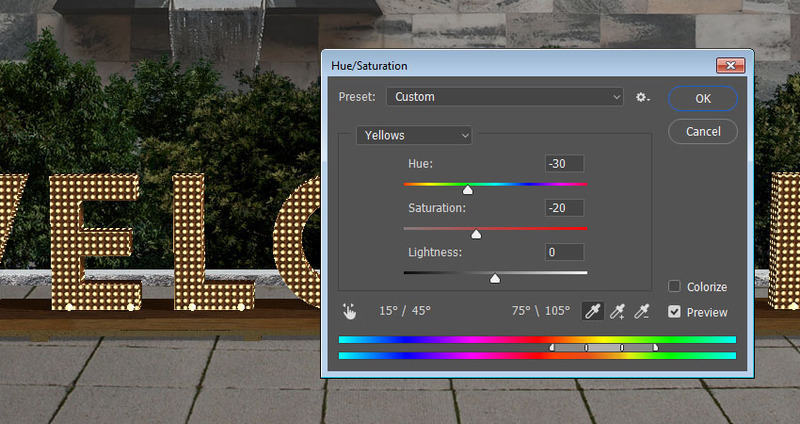 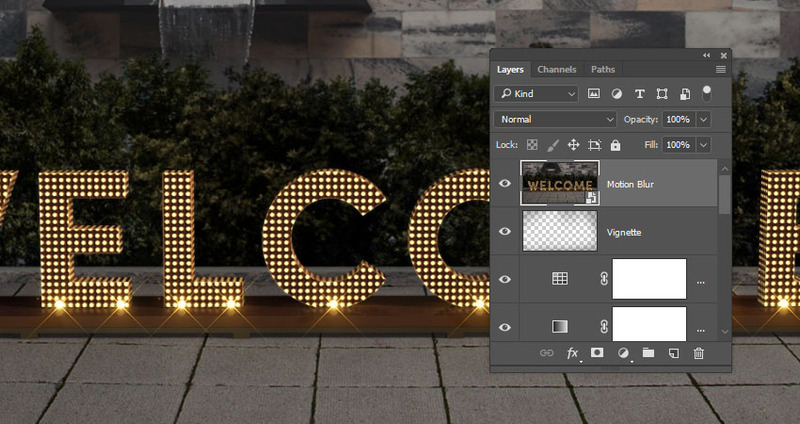 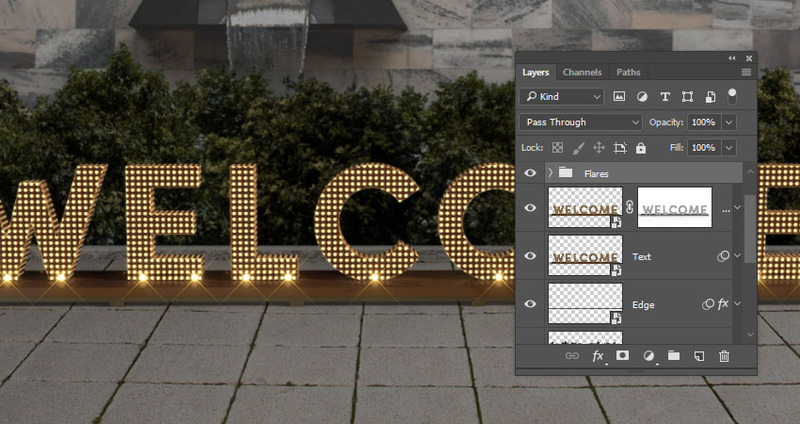 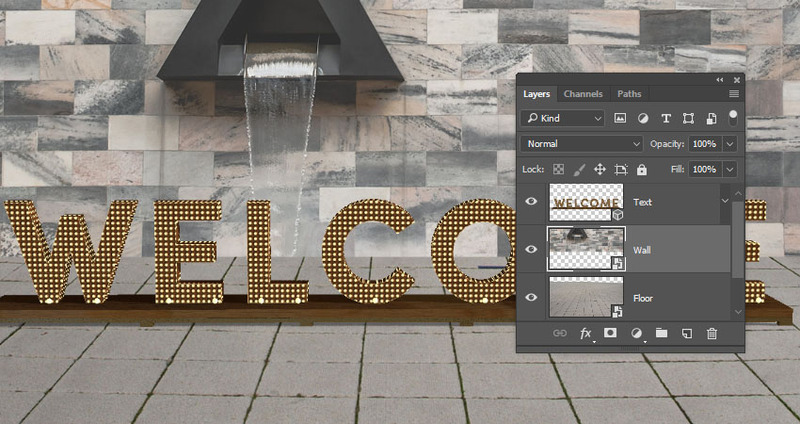 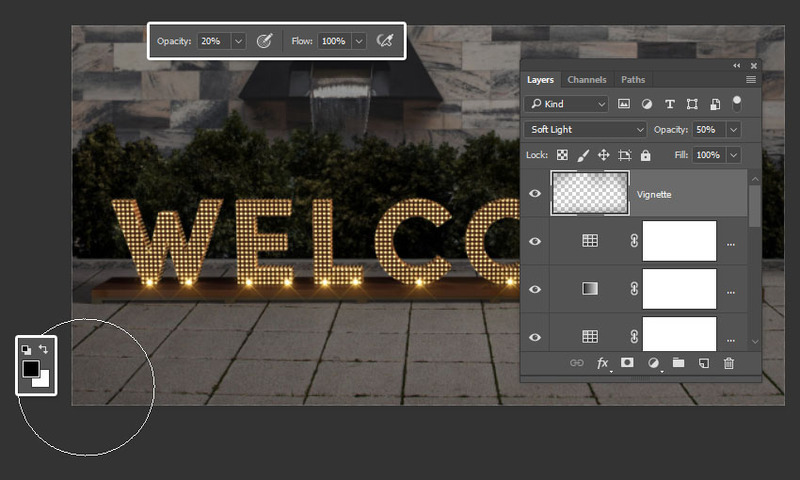 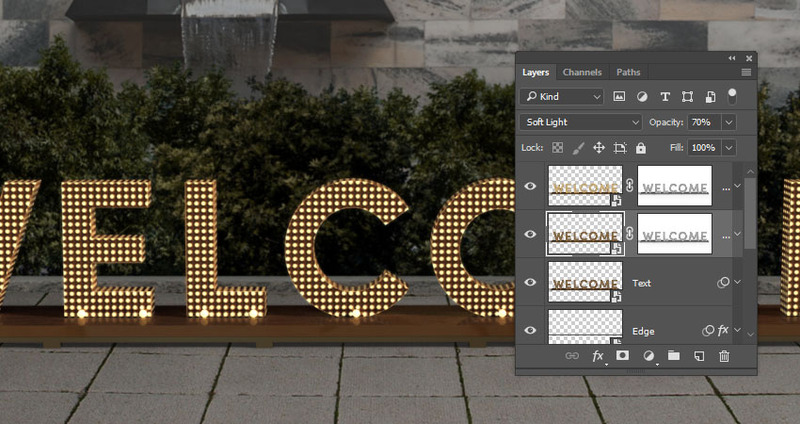 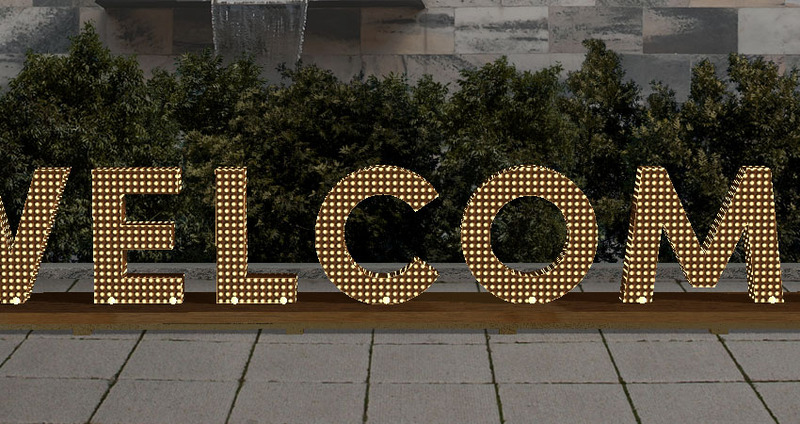 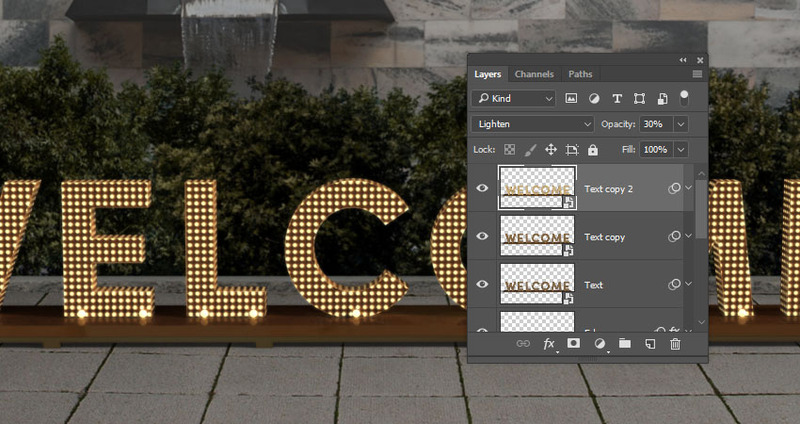 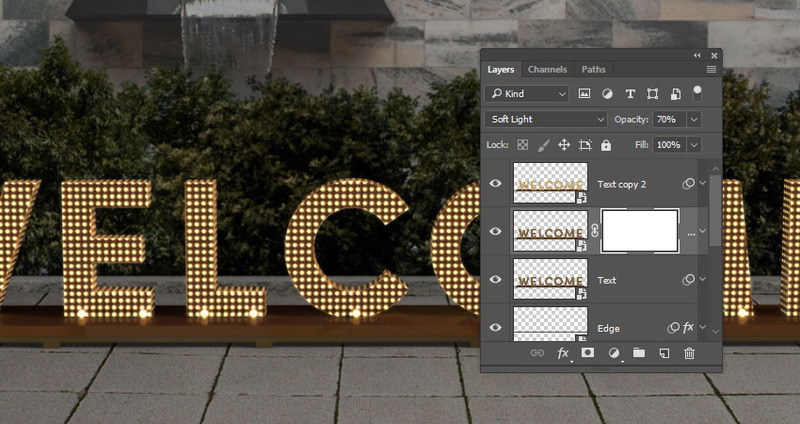 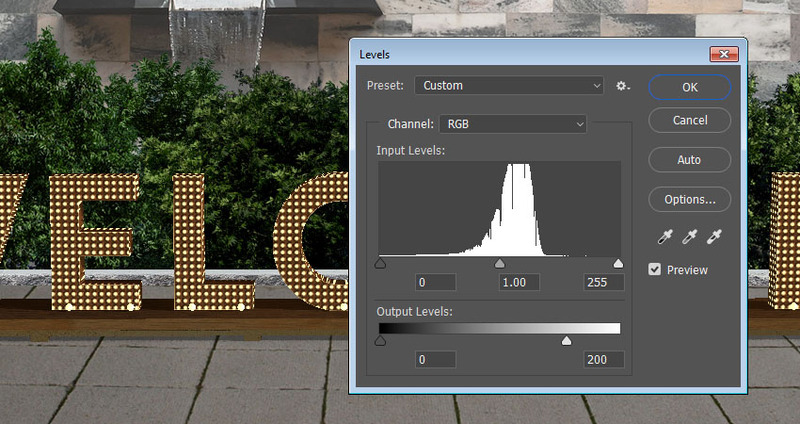 Go to Image > Adjustments > Levels, and change the Output Levels Highlights’ value to 200. 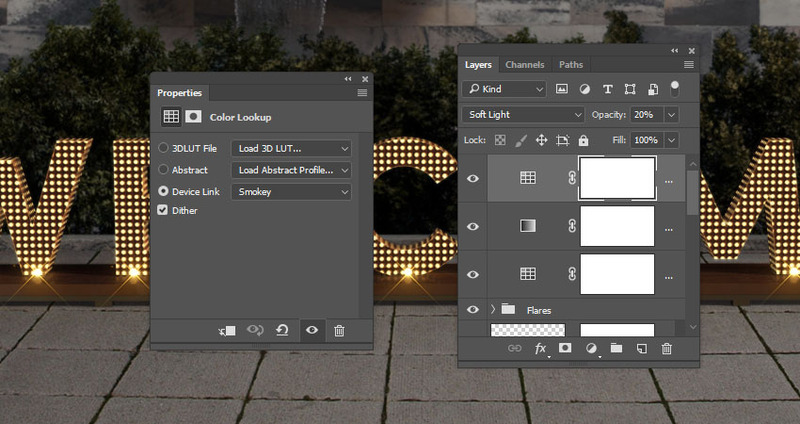 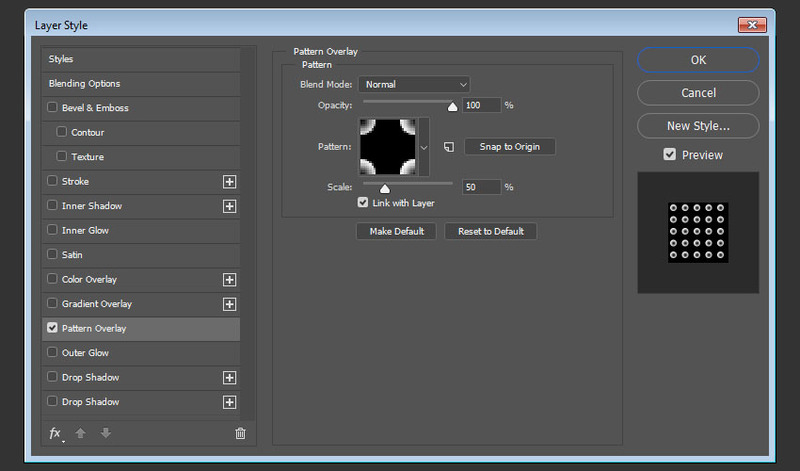 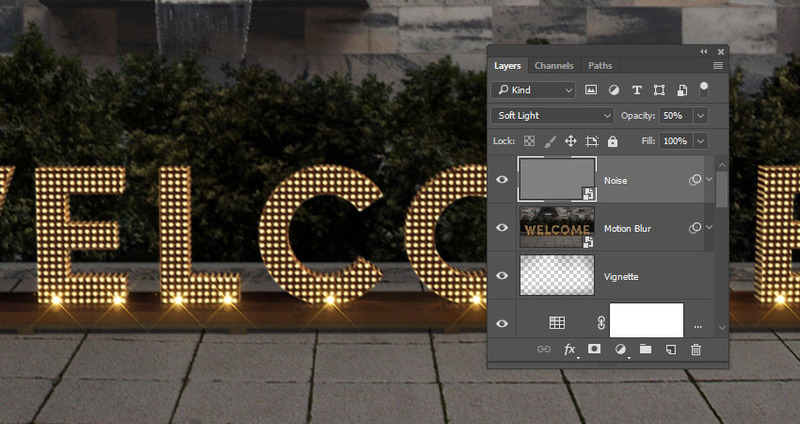 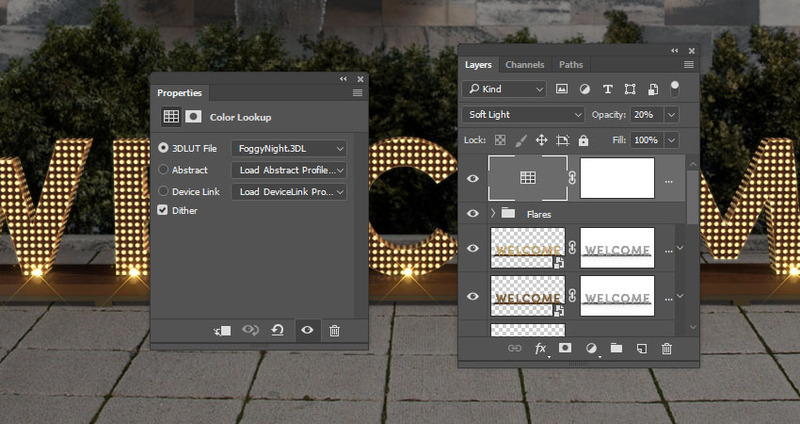 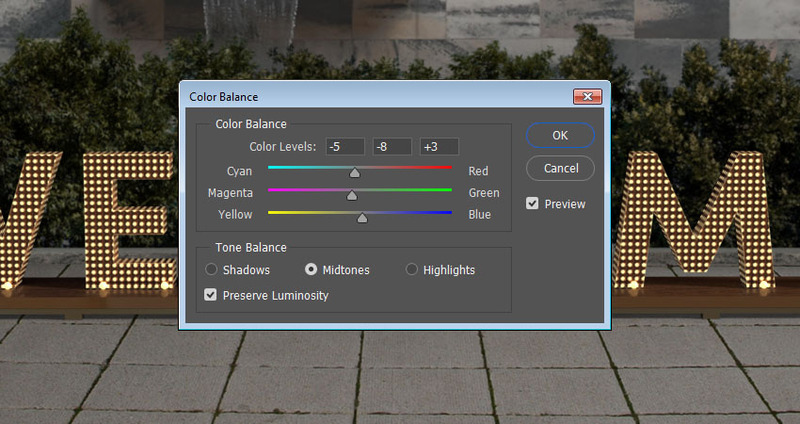 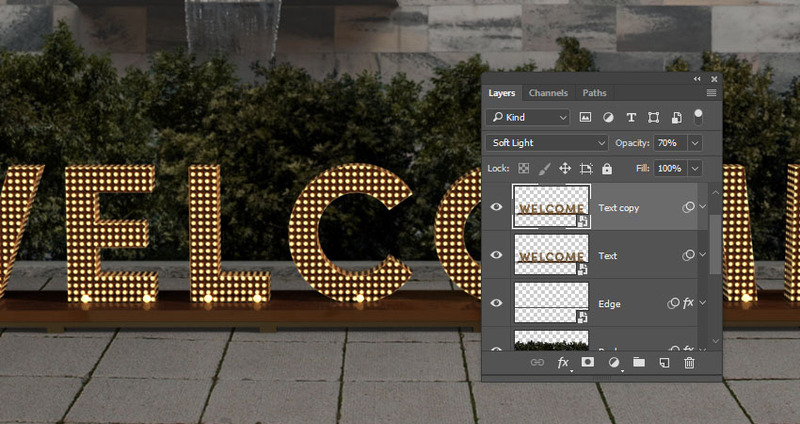 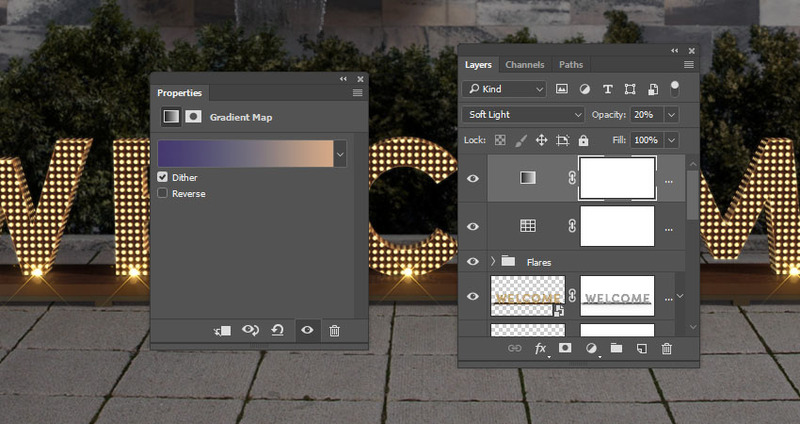 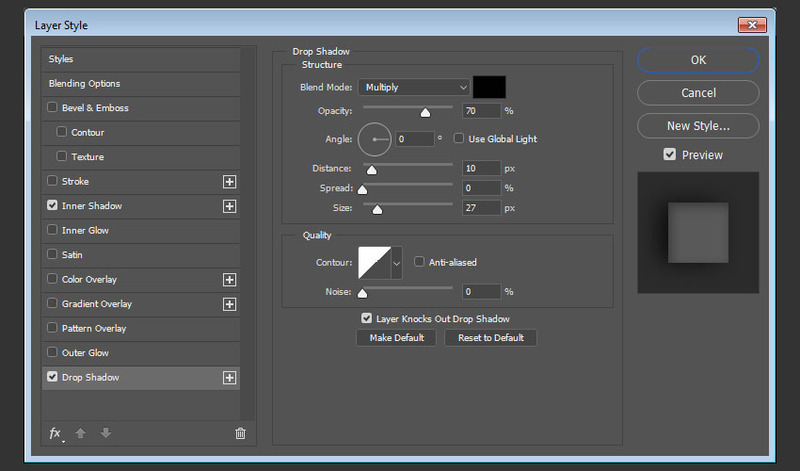 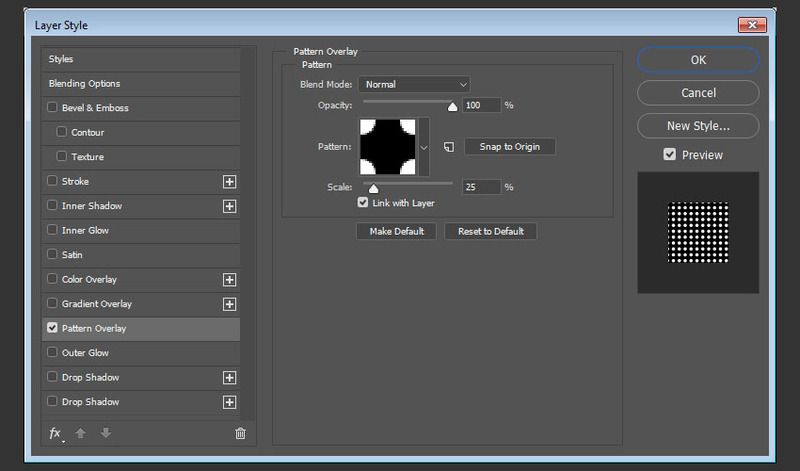 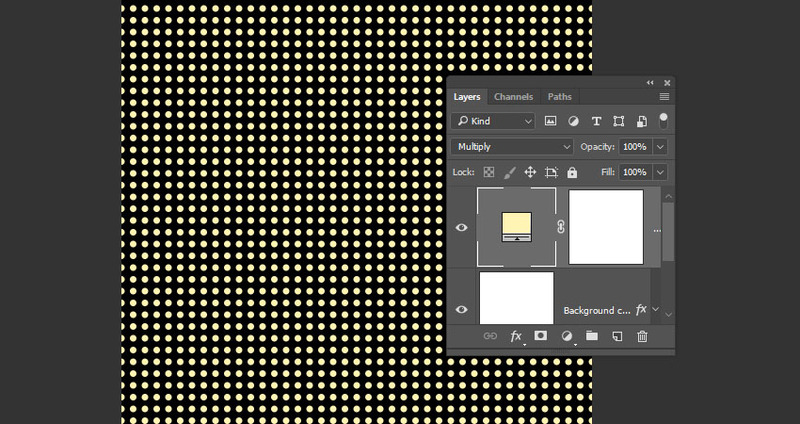 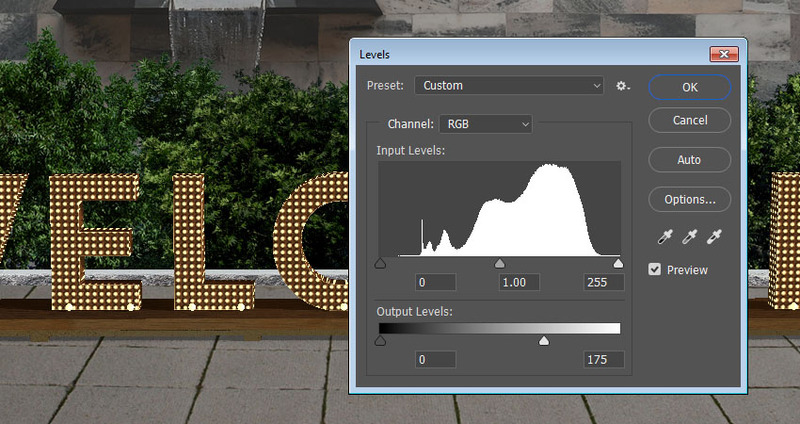 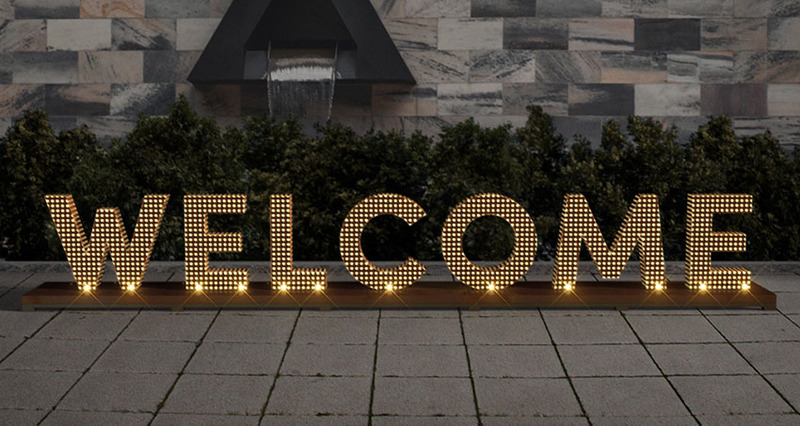 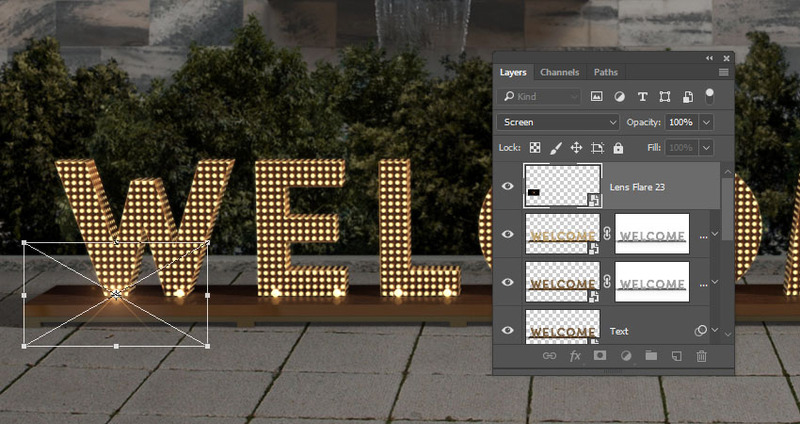 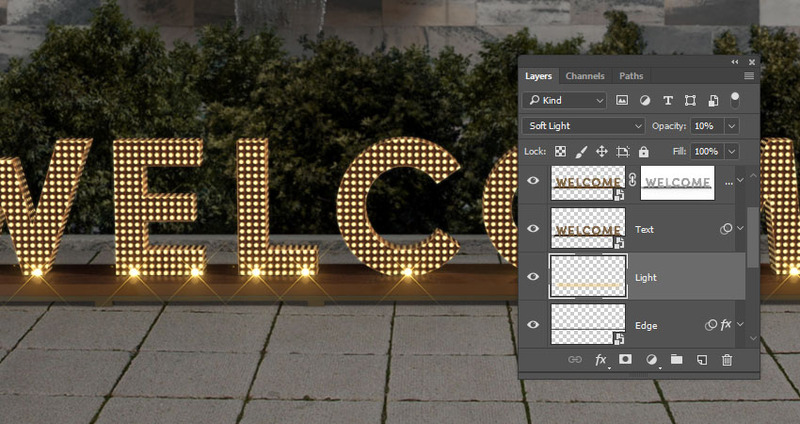 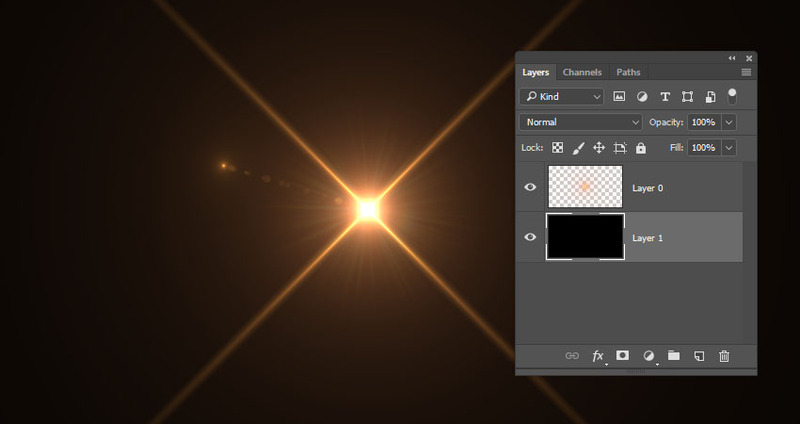 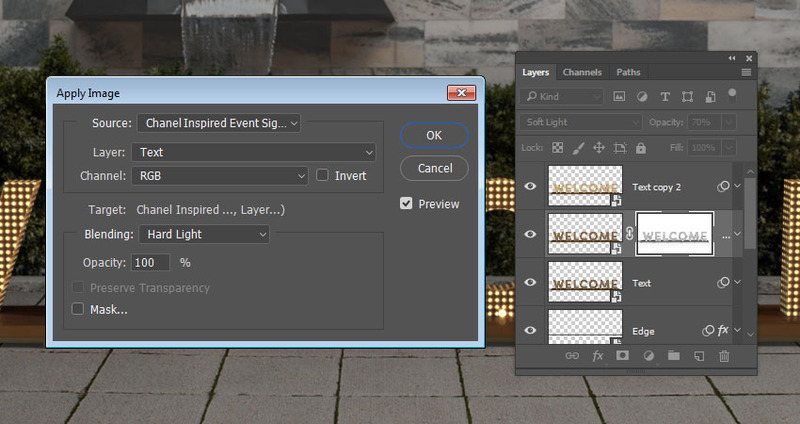 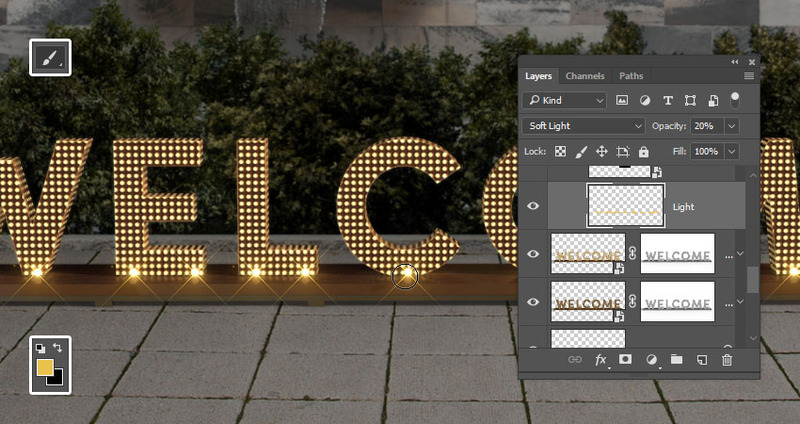 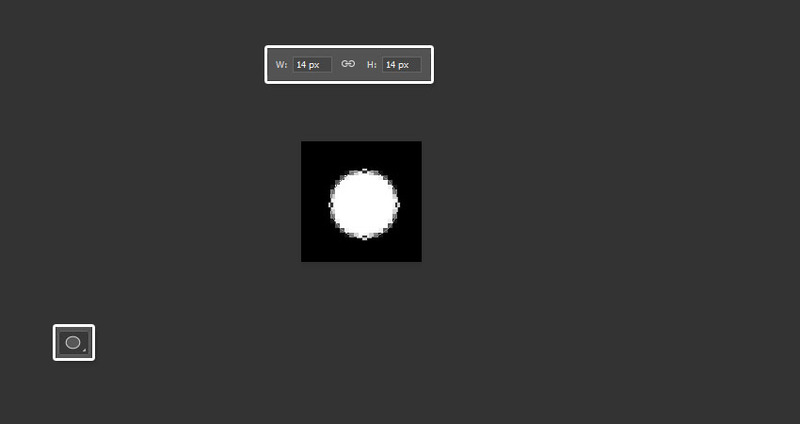 Select the Wall layer, go to Image > Adjustments > Levels, and change the Output Levels Highlights’ value to 175. 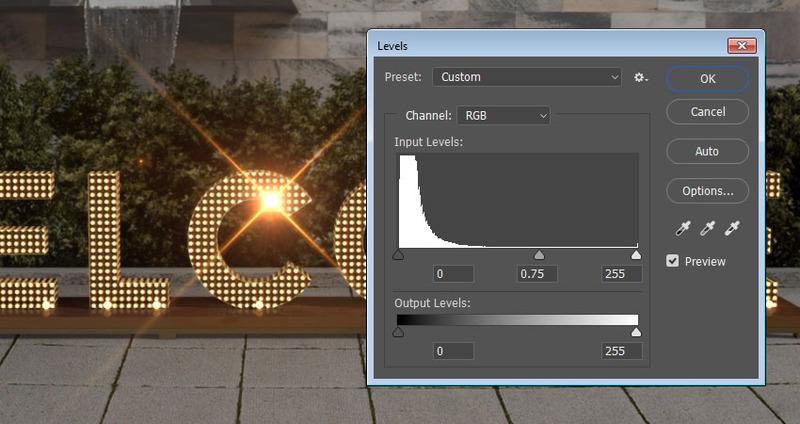 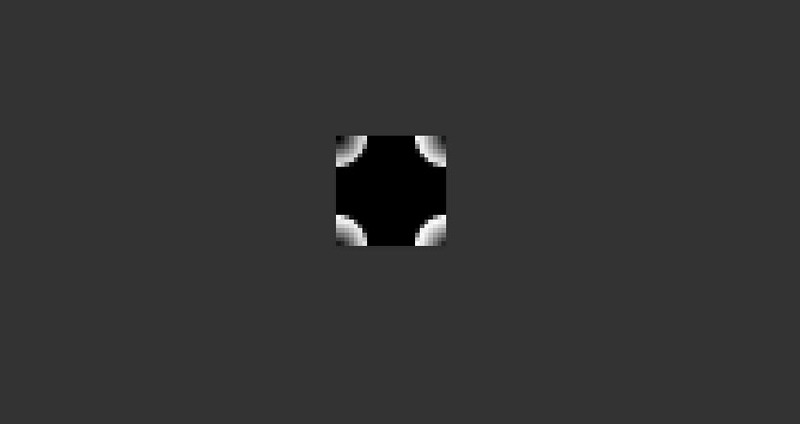 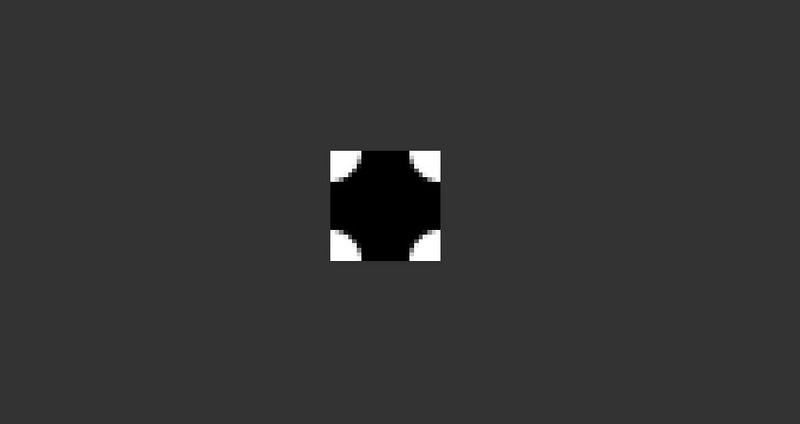 Select the Bushes layer, go to Image > Adjustments > Levels, and change the Output Levels Highlights’ value to 185. 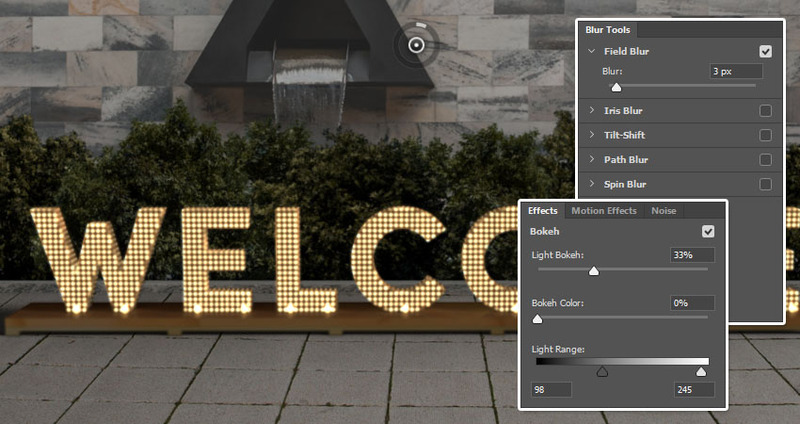 Then, under the Effects tab, check the Bokeh box, change the Light Bokehvalue to 33%, and the Light Range’s Shadowsvalue to 98 and the Highlights’ to 245. 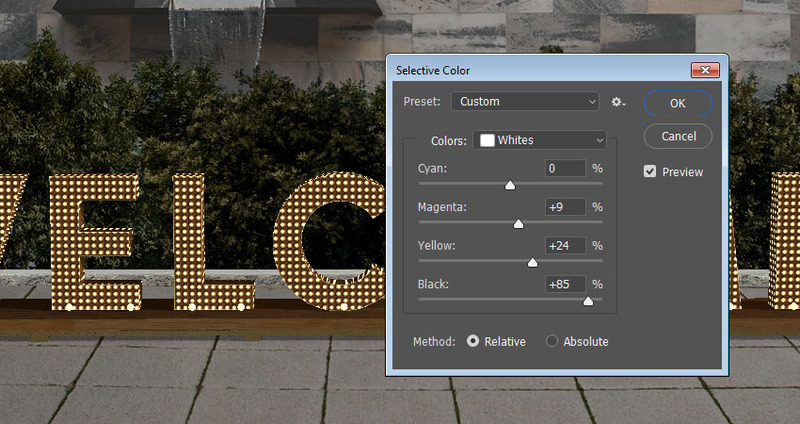 Use a big soft round tip to paint some vignette all around the document’s edges. 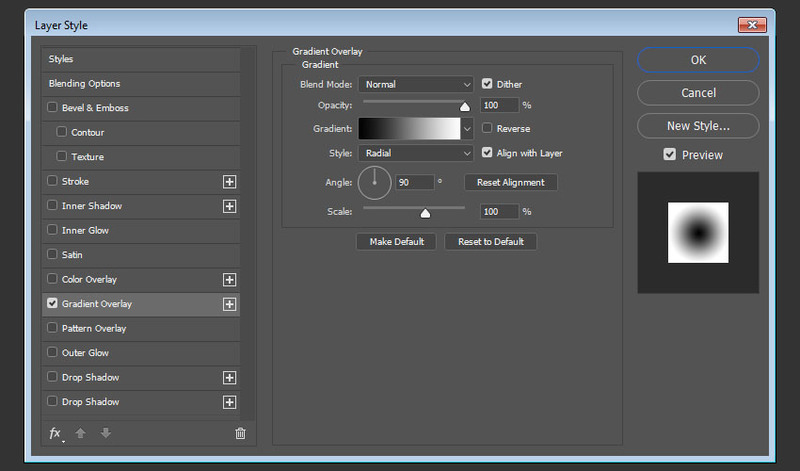 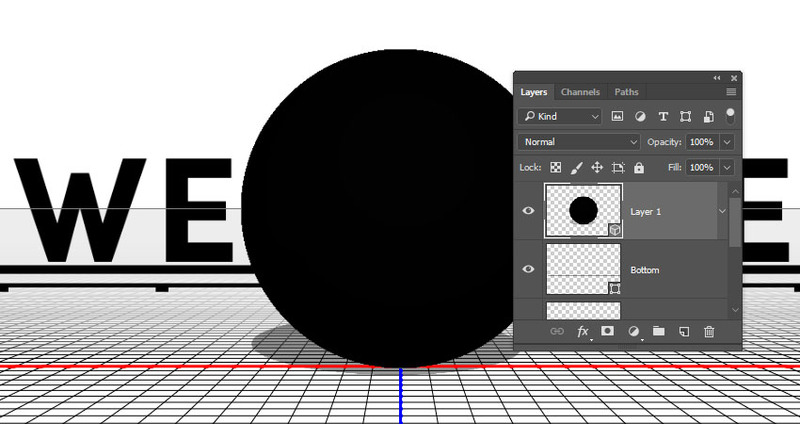 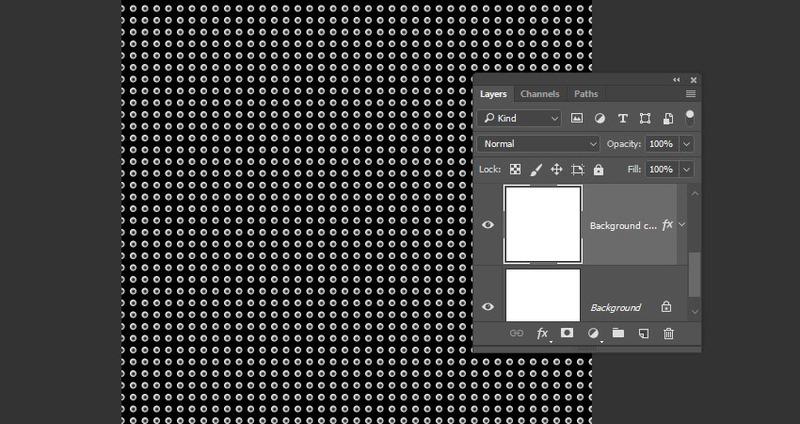 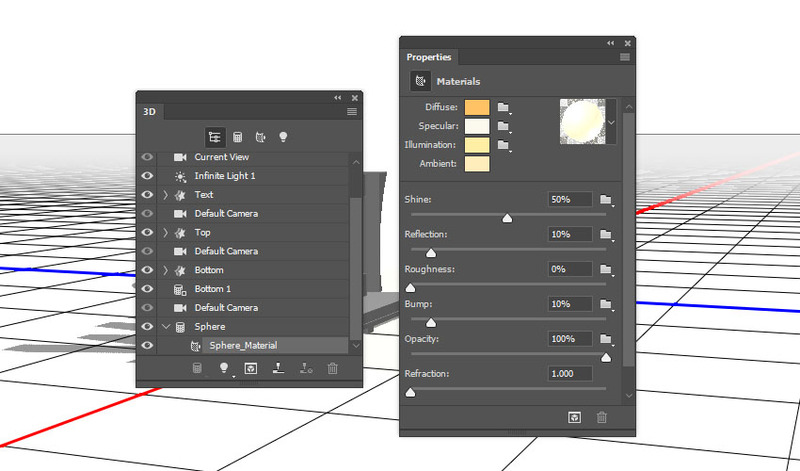 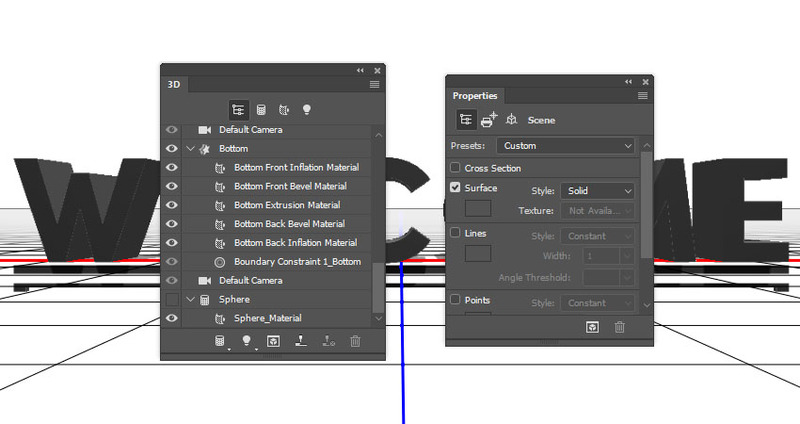 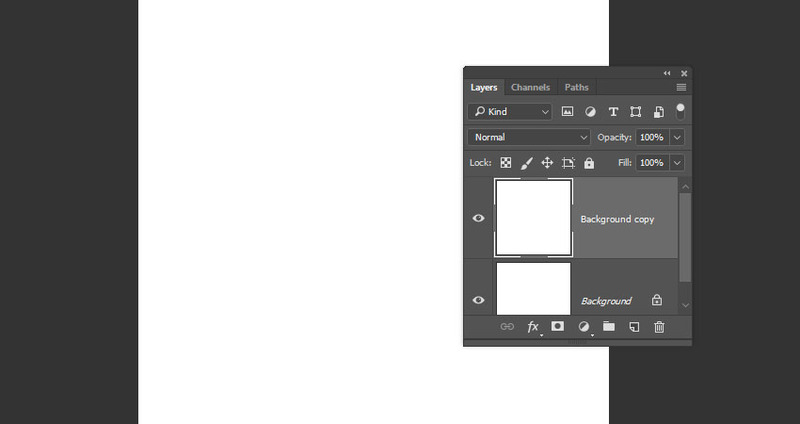 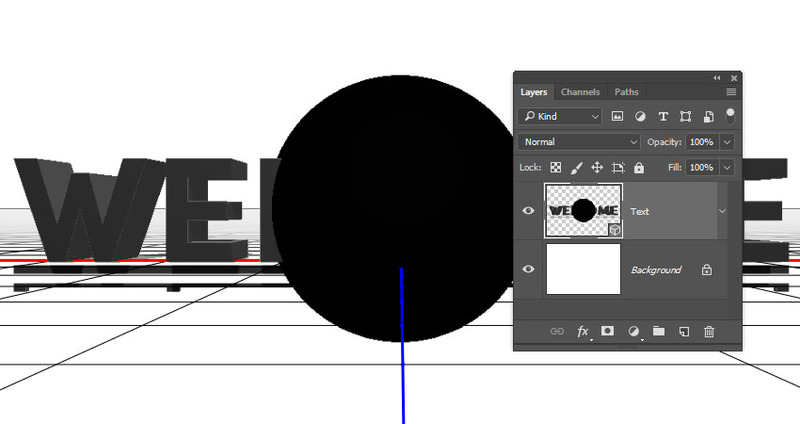 You can lower the brush tip’sOpacity value in the Options bar to get a subtler outcome. 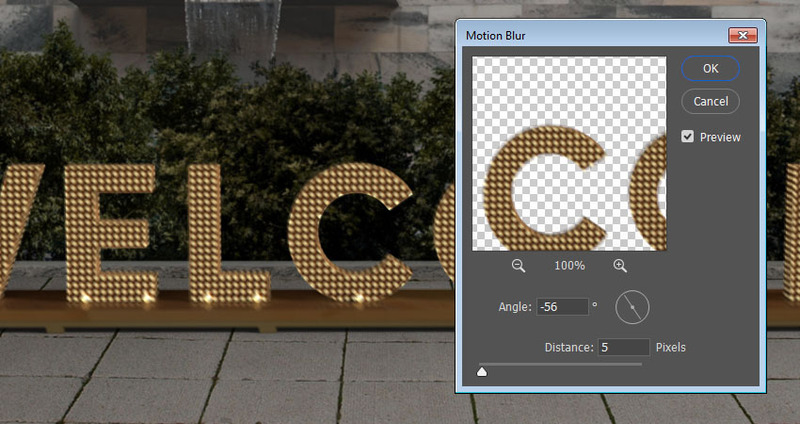 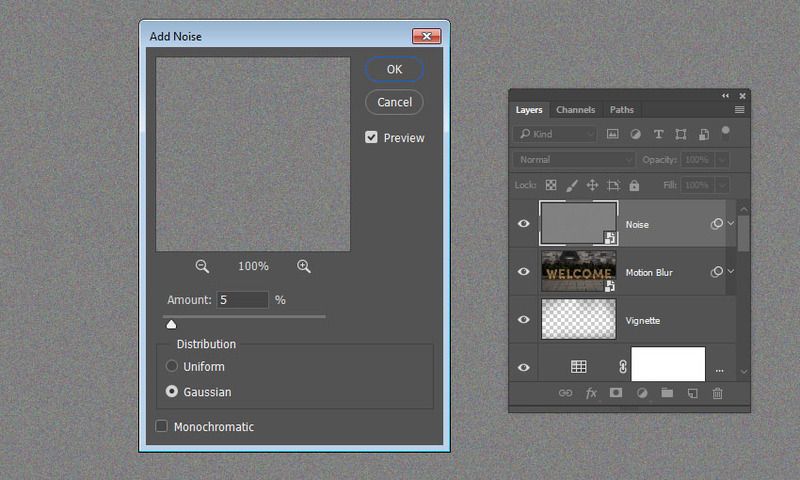 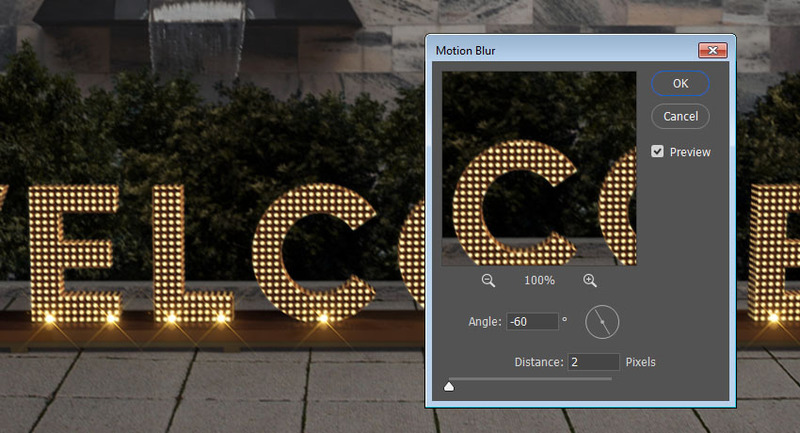 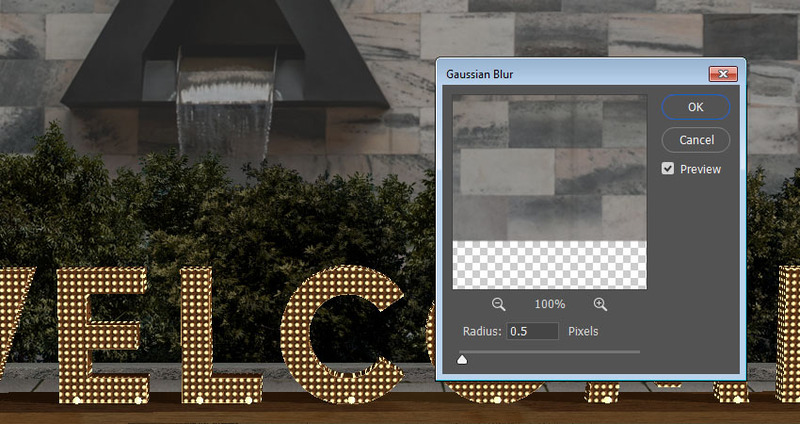 Go to Filter > Blur > Motion Blur, and change the Angle to -60and the Distance to 2.